Lots of love between these two! If there’s one constant presence in Isabelle Daza’s social media accounts apart from her family, friends, and new hubby Adrien Semblat, it’s none other than her yaya Luning. The Daza siblings' nanny has been there for them since they were kids, so it’s no wonder yaya Luning has practically become a second mother to Belle. Yaya Luning looking stunning in the Diaz-Daza family portrait. Belle and Yaya Luning are all smiles for the ABS-CBN station ID! 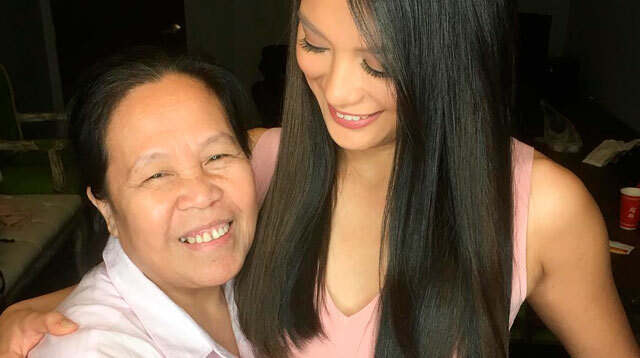 Like the true millennial celeb that Belle is, the Kapamilya actress probs taught her yaya to make an IG account–and it is nothing but love for her alaga! We love it when yaya Luning posts all them awkward adorable throwback pics of Belle and her sister Ava. LOLS!